EA does a COD with alternating dev strategy. EA's vision for the Need for Speed franchise involves alternating the developers behind every November release in a similar way Infinity Ward and Treyarch alternate development of Call of Duty games. This November's game, Hot Pursuit, was created by Criterion. 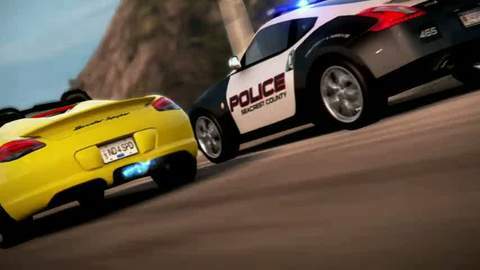 November 2011's game, unannounced at this stage but confirmed to be in EA's plan, will be created by Need for Speed: Undercover developer EA Black Box in Canada. EA also plans to make a franchise out of side series Need for Speed: Shift – designed to compete with the likes of Forza and Gran Turismo in the authentic simulation racing genre. EA's new NFS strategy was revealed by executive Patrick Soderlund in a wide ranging new interview with Eurogamer. "We want to reach a mass-market audience, and Hot Pursuit is a more mass-market appealing product than Shift," Soderlund said. "We want to come back with an action adventure type of product on an annual basis, but from a developer that's been working on it for a couple of years. "Maybe there are two or three developers going at it every second year. Then, when the market permits and when we feel ready, we'll come up with Shift versions as well." Soderlund's new vision for the franchise was born out of a frustration at the quality of previous games in the series. Developers were only given eight to 10 months to create a NFS game. Under the new strategy multiple developers will each get two years development time, allowing EA to stick to its traditional annual release schedule without reducing quality. While November NFS games will differ on account of the studios behind them, Soderlund promised gamers they will all share core NFS tenets, and even game features. "We want Auto Log to be something that follows with the consumer to the next NFS product," he explained. "We want them to use their log in and their details they had from the previous game into the next. If they're a loyal consumer to us we would reward them for that." Despite the plan, Soderlund refused to confirm that Guildford developer Criterion is now a NFS exclusive studio. "What happens to Criterion in the future, we'll see," he offered. Soderlund also confirmed that the Burnout series, loved by so many of Criterion's fans, is not dead. "I hope to see more Burnout games in the future. But it's about prioritising what we want to do. At this point we haven't made a decision to whether Burnout does this or that, but it's not dead for sure, no." And on Shift, which debuted last year with Slightly Mad's effort, Soderlund outlined ambitious plans for EA to overtake Sony's Gran Turismo series and Microsoft's Forza franchise as gaming's leading simulation racer. "We think we can compete and ultimately become market leading in the simulation authentic motorsport segment," he said. "One of the strongest points we have is, apart from the fact we have a very talented developer working with us and we now have an established brand underneath the NFS umbrella in that segment, we also have the advantage of being a multi-platform offering. "Forza can only be bought on Xbox and Gran Turismo is only available on PlayStation. We're the only one right now that is of a significant weight that can offer something up on all those platforms."